Height: 2 to 7 ft. Stem of hollow Joe-Pye weed is glaucous (has a white bloom) and is green or purple-tinged, but not spotted. 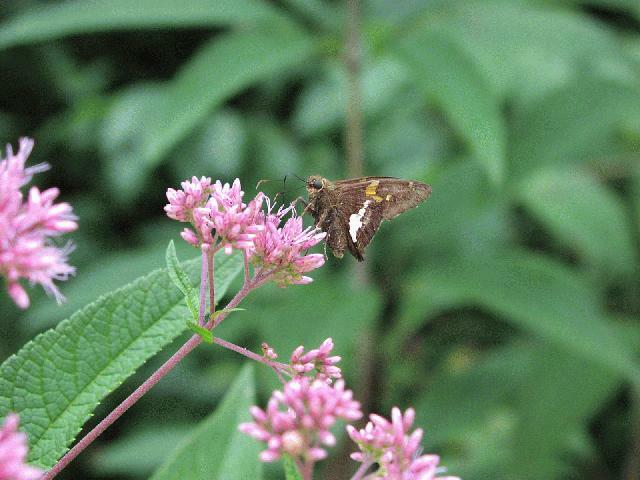 Spotted Joe-Pye weed is somewhat brighter in color, and the top flower cluster is less domed. Stem of hollow Joe-Pye weed is tinged with purple, while that is sweet is green with black or purple at the joints, with a white bloom. Hollow JPW has leaves usually in whorls of 6, with sweet JPW usually has whorls of 3 or 4.